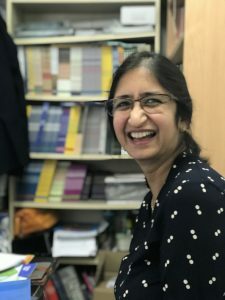 Author Chitra Soundar chose her top five books to help children overcome anxiety for the fab book recommendation site Five Books. 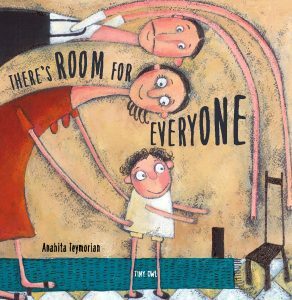 One of her top choices was Anahita Teymorian’s There’s Room for Everyone! 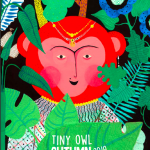 Her other selections were the brilliant Ruby’s Worry by Tom Percival, My Many Coloured Days by Dr Seuss, Llama Llama Red Pajama by Anna Dewdney, and Sweep by Louise Greig. Read her fab interview with Zoe Greaves below! I wanted to include this book, even though it is not necessarily about mainstream anxiety. Not every child is going to be a refugee, but there are many children today in our societies who have come from that background. Also, I think it does apply to other children who have moved schools, or who just feel a bit different to the others. The message of the book is that there is room for everyone. There is enough room for all the fishes in the sea and those fishes can be different. There is enough space for all the stars in the sky and they can be different. Children don’t have to feel bad about finding a place of their own, whether it’s in a new classroom or in a new family or in a new society. 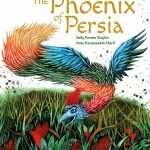 Even though the book feels like it’s telling the story of a refugee child, it’s also telling the story of any child who finds themselves in a new environment. When children go from year one to year two, or they’re going from nursery to reception, they feel like suddenly they’ve got different friends and different chemistries within the school and within the playground. Or they have a new friend circle and new birthday party and they don’t feel like they know everybody. They can still find their own space within that environment. For readers who aren’t familiar with it, could you briefly explain the story? 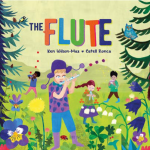 The book goes through how a child discovers various things in nature and that there’s enough space in the sky for birds and enough space in the ocean for whales. It then asks why people fight for space. Why can’t they be a little bit kinder to each other? For me, it was very useful to then correlate that to a playground environment. A child comes to me and says, ‘I wanted to use the seesaw but somebody else is on it.’ And you suggest that they can go and ask in a nice way and maybe the other child will let you have a go. But if you fight for it, then probably neither of you are going to enjoy what’s going to happen. At the same time, it’s actually a story about how we think we don’t have space for somebody coming from another place. Especially in this Brexit climate and with the situation in the US, I think it’s perfect to read this book at this time. Not all parents are liberal. 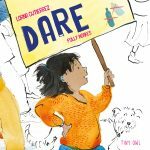 There are parents who need to read this story to understand that we don’t have to be scared of the new neighbours or new children at school. Whether they’re eastern European or refugees, you don’t have to worry about them. There’s Room for Everyone long-listed for Derby Children’s Picture Book Award!